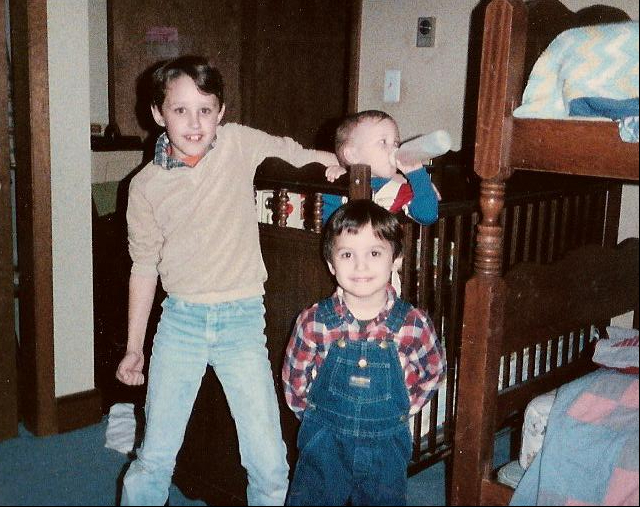 Growing up as the oldest of three brothers, it was my self-appointed position within the family to keep a careful eye on my younger brothers and make sure they toed the line. I fancied myself as some sort of family policeman, it wasn’t until later in life that I was, in fact, a ‘snitch’ and as we all know in adulthood, snitches get stitches. 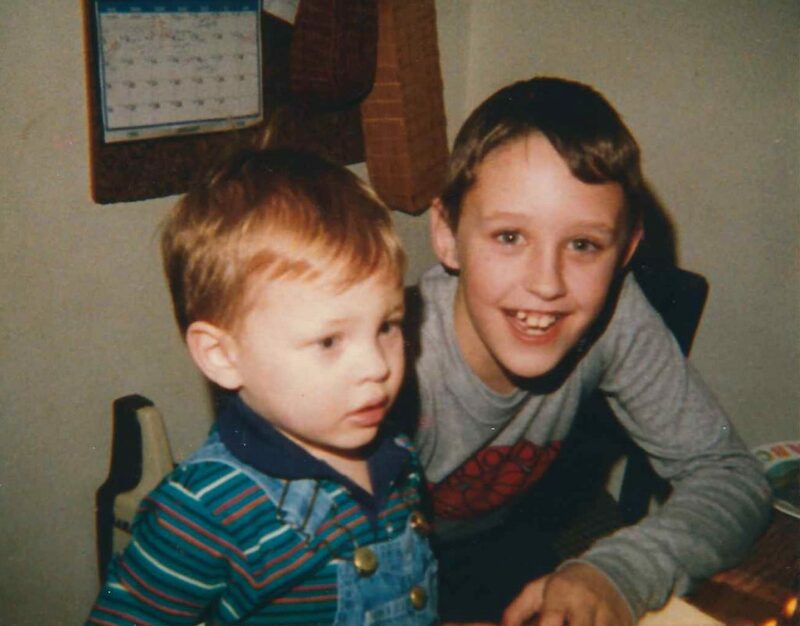 Nevertheless, I was consistently providing updates to my parents about when my middle brother, Eric, was picking his nose or leaving our shared bathroom covered in dirty underwear and wet towels after taking a shower. And I was GOOD. Like… REALLY good at the policing or detective work that I did. Perhaps it was the fact that my grandfather was an officer and detective, maybe that kind of thing is hereditary. I was so accelerated in my talent for detecting inappropriate behavior, that I’d be able to see it not only when my parents were around, but when it was happening directly under their noses. 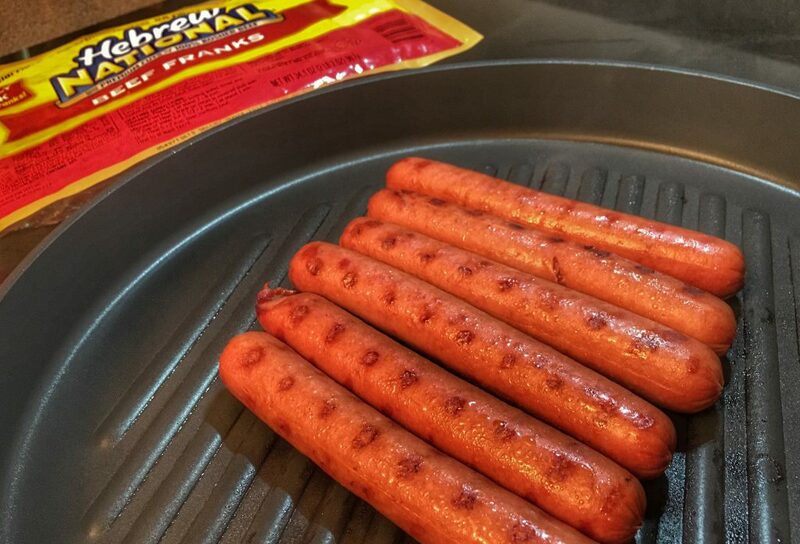 With four men in our family (three boys and my dad) – once dinner hit the table every night, it was an all-out battle to eat as quickly as possible in order to get second helpings before everything in the center of the table was gone (especially when it was Grill Night with Hebrew National hot dogs). We were all fairly good eaters with well-rounded palettes, however, my youngest brother Travis always seemed to take issue with the vegetable category. At the time, Michael Jackson was one of his favorite artists and idols and we would all vie to convince him that “Michael Jackson ate his carrots and green beans, so should you!” This tactic provided wholesome family laughs, but lacked in effectiveness. My dad also seemed to be very picky with the things that he ate, so maybe my little brother was simply following in the hereditary footsteps of another picky eater – the same way I had walked behind my grandfather and made the rank of behavior detective by age 11. I’ll never forget the night that Travis asked to be excused from the supper table early. As my parents obliged, I noticed that his plate was completely clean, no meat (or veg) left behind. As he walked away from us, I noticed several imperfections in his socks, which were oddly pulled almost all the way up to his knees. I announced to the family that ‘something was amiss!’ and proceeded to upend my brother, holding him upside down by his ankles on center stage in the living room. I pulled open up his socks and we all bore witness to the steady rain of carrots and green beans that fell to the ground. THIS story is one that my family still recants to this day and we enjoy a hearty laugh. But the reality is that I’ve always been worried about the potential hereditary link that could’ve somehow jumped to my own kids. My kids definitely have their moments and when it comes to lunchtime in the summer, I’ve found a way (Hebrew National) to combine the desired foods with a few things that aren’t so desirable. 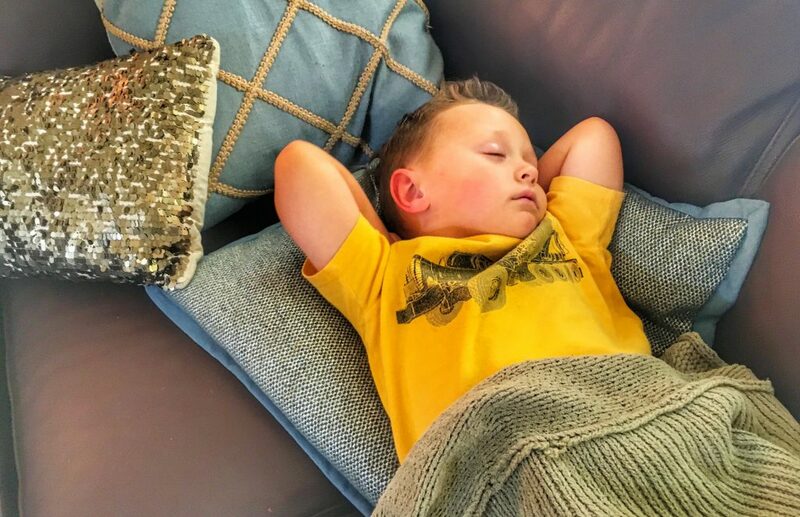 Evidently, he was temporarily in another world, lying on a beach in Tahiti or envisioning the potential of taking selfies of himself at the gym (like his dad) in 15 years. 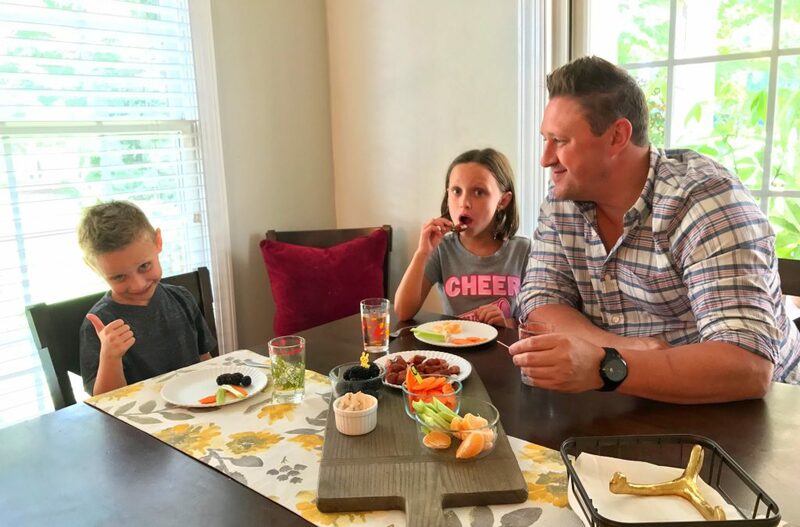 But I continued on, telling my kids the story of Uncle Travis’ picky eating status when we were kids, not to give them ideas (they never even wear socks, we can’t find any matches), but to rather inspire them to break the trend. 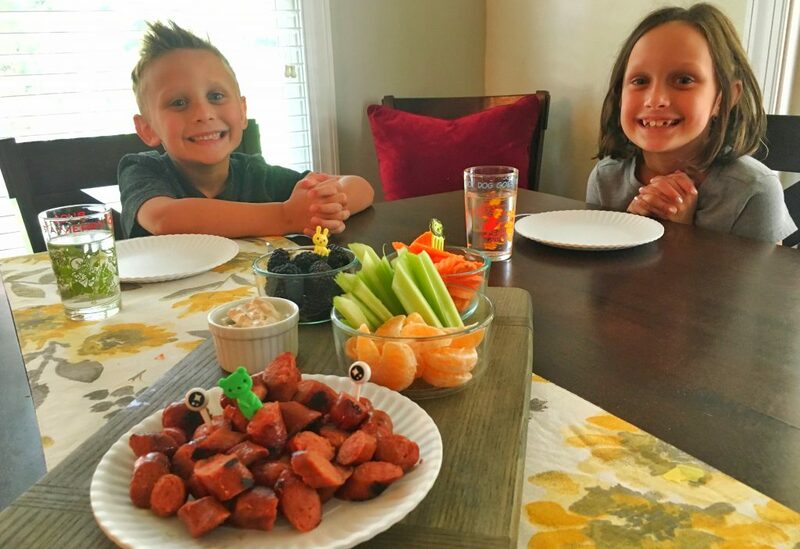 …and since they were so overwhelmed by my storytelling and the deliciousness of the hot dogs – I got them to break that potential hereditary trait (for now, at least) and get down on some fruits and vegetables in addition to the familiar main – hot dogs. I’ll call this a parenting WIN. EDITOR’S NOTE: This is a sponsored post on behalf of Hebrew National and their #WeRemainStrict campaign, however the tasty goodness and spinning of yarns was all ours. For more information, check them out HERE, on Facebook and Twitter. « Cruising Costco+Kids for Dove Men+Care.